I hope Santa brings you everything you’ve asked for this year. He sure has for our house already! Sofia, Brian and David are soooo excited. Here’s an image from a session last weekend. I photographed Little McKenzie way back when she was a newborn and now look at her! They grow up so fast! Take a moment today and hug your kids and enjoy them while they’re little. So precious…. Happy Holidays! 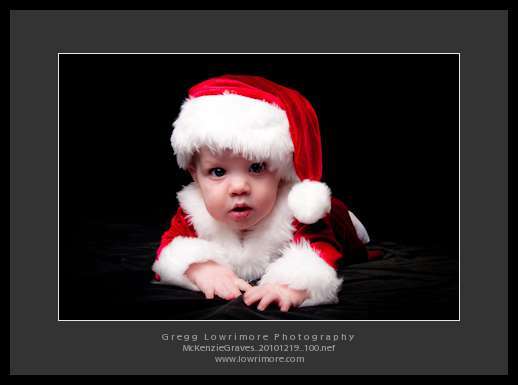 Posted in Infants/Toddlers and tagged Christmas baby, McKenzie, toddler by greggl with no comments yet. Kind of convenient that my 8-year old daughter is studying stars and planets in school right now and this Lunar Eclipse “happens” to occur now. She wanted to view it, so I woke her up at 12:30 (after checking outside myself to make sure the clouds had dissipated, and viola. What a beautiful sight! 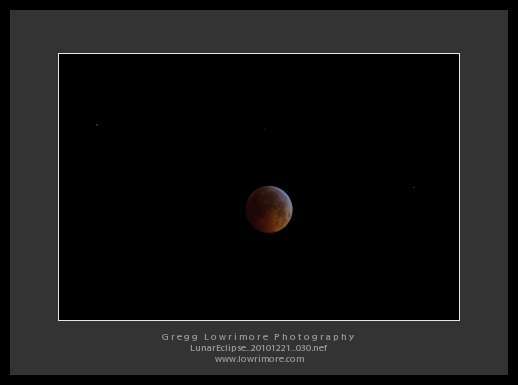 Posted in Nighttime and tagged full moon, lunar eclipse, solstice by greggl with 1 comment.